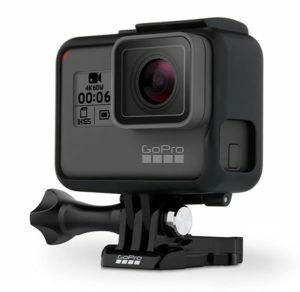 I received an email a few weeks ago from GoPro, asking me to come to San Francisco for a special event. And right then and there, I knew, the HERO6 is here! And it’s the most power HERO camera yet. What makes the next generation GoPro Hero so powerful? GoPro has custom designed their own processor to get the job done. Known as the GP1, this new image processor gives the Hero 6 the ability to record 4K at 60 fps and up to 240 fps in 1080p, making it ideal for those cool slow motion tail grabs on the slopes. 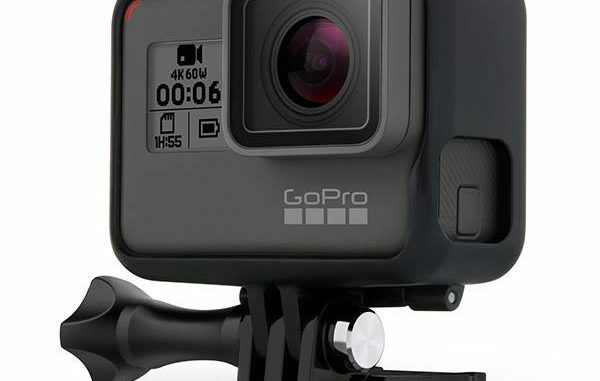 Not only that, but the GP1 also gives the Hero 6 twice the video frame rates, improved low light performance, and GoPro has upgraded the image stabilization for video to improve the image quality while the camera is in motion. The HERO6’s dynamic range has also been expanded to capture more detail in light and shadow, and GoPro also added a digital zoom option so that shooters can shoot wide in 4K, and then zoom in for a secondary camera angle. But the best part of the GP1 is that it eliminates the need to navigate through that old clumsy menu system that has plauged the Hero line since the very beginning. Through the use of machine learning, the GP1 analyzes each scene through the sensor metadata and automatically sets the best image settings so all you need to do is hit record. Then, thanks to WiFi transfer speeds that are three times faster than the pervious model, QuikStories can craft a custom video and still image presenation and upload it via your smartphone within minutes. Now granted, the HERO6 is essentially a dot upgrade which adds a few new features and incrementally beefs of the Hero’s performance to the next level, but the GP1 is an important new step for GoPro, future proofing the HERO platform as it looks over the horizon. So I’d say it’s a solid dot upgrade that may make shooters consider upgrading. Meanwhile, in the world of 360° video, GoPro has tweaked their new Fusion 360 to be even more capable than when it was announced a few months ago. The Fusion is capable of capturing spherical image content in the round at 5.7K. Additionally, thanks to GoPro’s new OverCapture feature, users can essentially “punch out” a 2D scene from anywhere within the 360° spectrum for a flat image scene. 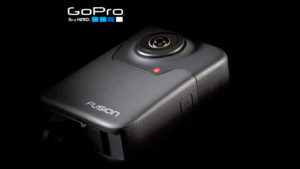 That means the Fusion is essentially several cameras in once when you use the GoPro Studio workflow. Nice! 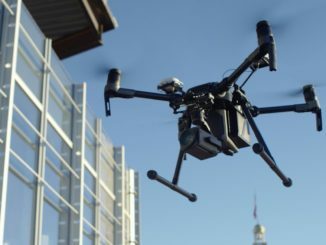 The GoPro Karma is getting smarter. 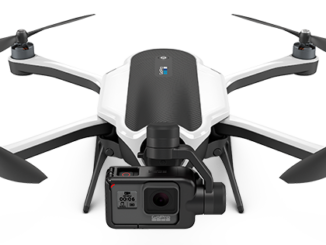 GoPro’s premiere drone isn’t the next generation Karma 2 that we were hoping for but the firmware update, adds some important auto shot path modes including Follow, Watch and Cable Cam gets expanded. With Follow, the Karma will now keep the Karma controller (aka the user) framed in shot while moving, while Watch will keep the Karma hovering on station while it rotates and keeps the controller in frame as it moves. Cablecam gets expanded with auto shot waypoints, and Karma also has a look up mode for camera tilt. 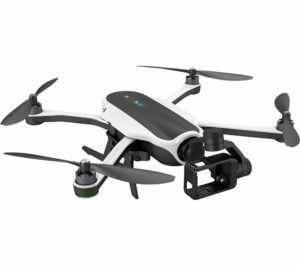 The best part is, that the firmware update is available today to all Karma owners, making their drone essentially a brand new UAV. Rounding out today’s product announcement were new GoPro mounts including the Shorty pocket extension pole and tripod, the Handler, a floating hendgrip with quck release mount, and the Bit Mount with a Floaty option. 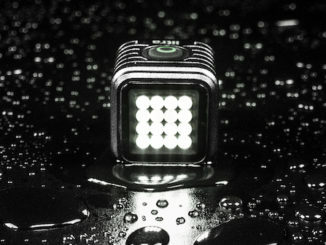 But what was missing from today’s Fall lineup was a HERO6 Session, making me wonder if GoPro’s ultra compact cubic camera has been sunsetted as the company streamlines it’s product lines in order to focus on boosting it’s sales lines.